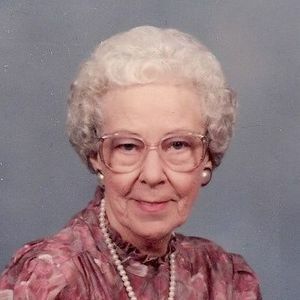 CENTRAL CITY - Beatrice Walton Altmire, 88, of Central City, died Tuesday, March 13, 2012 at Maple Manor Nursing Home. She was born to the late James Patrick and Mattie Dougherty on March 30, 1923. She was preceded in death by her husband Harry Altmire and her sister Anna Elizabeth Rickard. She attended St. Josephs School in Central City. Most of her adult life was spent in Louisville, Kentucky where she worked and retired from Brown and Williamson Tobacco Co. after nearly 30 years of service. She is survived by a nephew, Phillip "Red" Rickard and wife Wanda of Central City; a great-nephew Myron (Crystal) Rickard of Seymour, IN; great-niece Stefanie (Greg) Rager of Central City; and a great-great-nephew Clay Rager. She had many nieces and nephews through marriage that played an active part in her life. She was "Aunt Bea" to everyone who knew her and made many friends throughout her life. The funeral mass will be offered at St. Josephs Catholic Church in Central City on Friday, March 16, 2012 at 10:00AM, with Father Ben Luther officiating. Burial in Fairmount Cemetery in Central City. Visitation will be Friday from 8:00AM - 10:00AM at Tucker Funeral Home in Central City. Tucker Funeral Home is in charge of arrangements. Online condolences may be made at www.tuckerfuneralhomes.com. Aunt Bea was a very big part of my childhood. I can remember the days visiting with her, staying the nights with her, & having a fun time with her. She was a very energetic woman who had a life full of happiness. She will be greatly missed. It has been a long time since I last saw her, like about 10 years, when we took my first born grandson to visit with her. At that time she still looked great. I will always treasure the fun we had. Phil, your family will be in my thoughts & prayers. You were very good in caring for her in her last days. Thanks for being there for her. I'm sorry that we are unable to attend the service due to work issues. May God Bless You All.